BASF is a chemical company which is mainly into the production of chemicals, plastics, performance products and crop protection products to oil and gas. 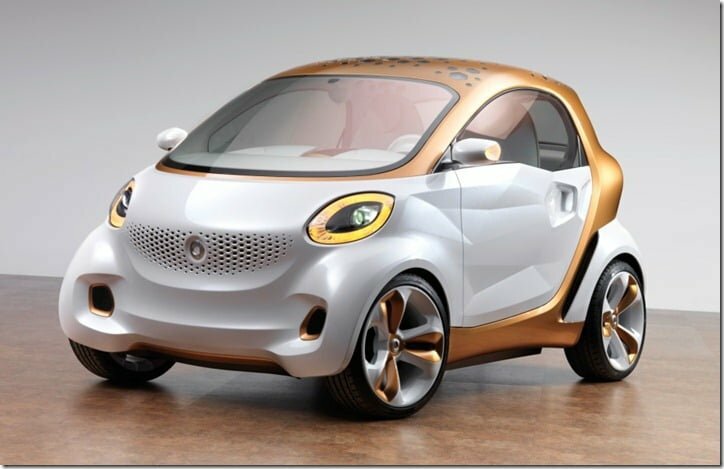 But recently, in collaboration with Daimler, it unveiled the ‘smart forvision’ electric concept car at the ongoing Indo-German URBAN MELA in Delhi. Based on the theme of sustainable urbanisation, the car combines futuristic design with innovative technologies in the areas of energy efficiency, lightweight design and temperature management. The car was first unveiled at the 2011 Frankfurt Motor Show and uses the automobile expertise of Daimler and BASF’s material and system competence both. The researchers and designers intentionally realised a mixture of visionary materials and technologies in the concept vehicle, of which many are at the laboratory stage. 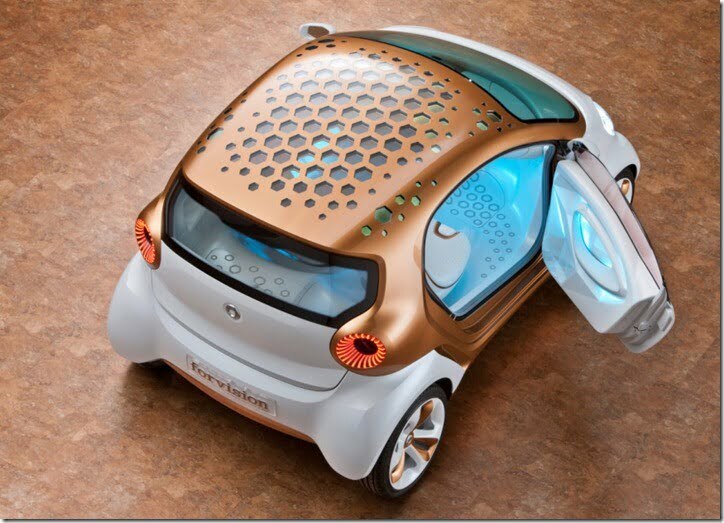 Highlights of the ‘smart forvision’ concept include transparent organic solar cells, transparent organic light-emitting diodes, all-plastic wheels, new lightweight body components and infrared-reflective films and coatings. State of the art materials and technologies allow new concepts to be implemented in the car that not only save energy, but even generate it. What makes the car energy efficient is power-generating solar cells based on organic-chemical dye which are used in combination with energy-saving organic light-emitting diodes (OLEDs). These solar cells are fitted in the roof of the car which not only act as a design highlight but is also environment friendly. Being an electric vehicle, weight plays an important role in the overall range of the car. The heavy metal components of the chassis of this car have been replaced with fiber- reinforce plastics which are not only equally functional, but stable as well. The car also features the first ever all plastic wheels for series production, made from the new high-performance material Ultramid Structure, which could go into series production. The temperature management of the vehicle has been taken care of by using innovative materials such as polymer films in the windows to reflect thermal radiation, and high-performance insulating materials. 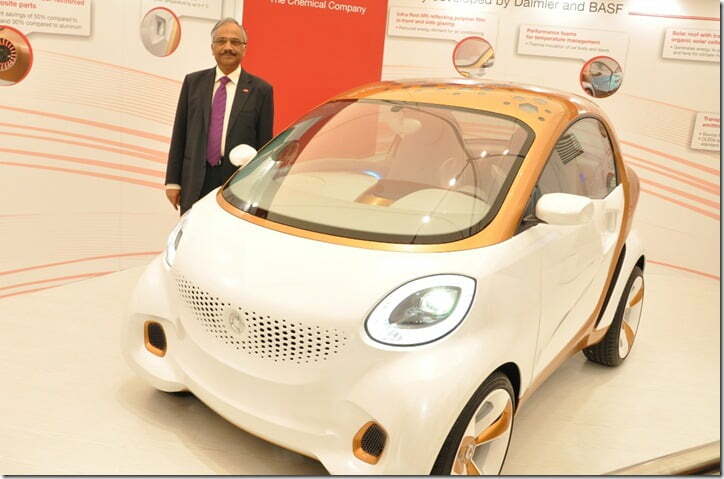 The vehicle is innovative in all aspects and we are really looking forward at some of its technologies going into series production for the benefit of future electric cars.